Browse > Home » How does the lender determine the maximum mortgage I can afford? How does the lender determine the maximum mortgage I can afford? The three primary areas lenders examine in determining the size of mortgage you can handle include your monthly income, non-housing expenses, and cash available for down payment, moving expenses and closing costs. There are a number of different ways lenders interpret these variables to estimate your mortgage capacity. The most popular method is detailed here. Most lenders feel a family should spend no more than 28% of its gross monthly income on housing costs, including the mortgage, insurance, and real estate taxes. Also, these housing costs plus your long-term debts (car loans, student loans, etc.) shouldn’t exceed 36% of your income. These ratios do vary from lender to lender and are flexible guidelines for people with good credit and cash reserves. If your down payment is 10% or lower, most lenders will tighten these restrictions even further. 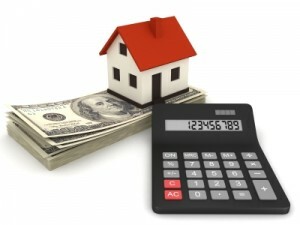 Some lenders may also include association dues or home maintenance costs in their calculations.